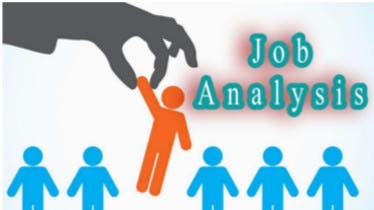 Job analysis is one of the most important aspects of the HR’s job in a company and it is definitely not an easy job as the HR also has to deal with various aspects that would be related to the job. In addition the HR also has to specify the various roles pertinent to a position. 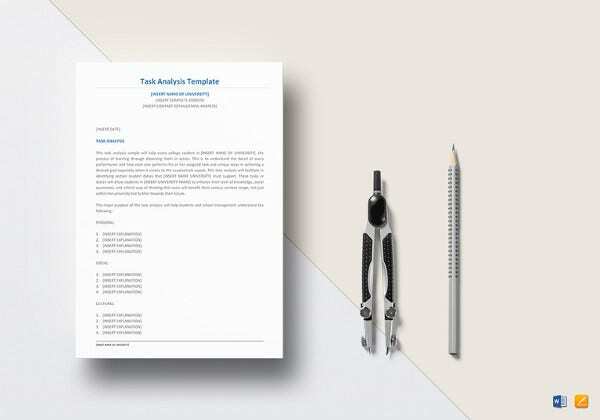 This document or template helps the company to understand the exact nature of the responsibilities that are to be shouldered by a profile and also the candidates or the employees gets an idea regarding the expectations that their companies have from them. The job analysis templates can be trusted for creating the most competent documents. 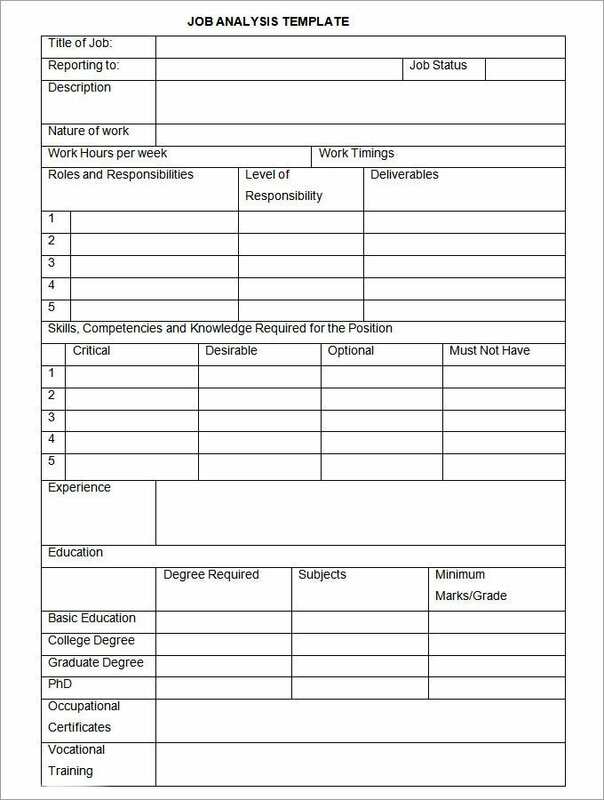 This template is one of the most useful formats that can be used by the companies and their HR departments to make great and informative job description. Through this format the HR can create some of the most well structured job descriptions. The resolution of these templates is great that offers the best quality printouts. The templates are fully editable and can be changed as and where required. The user can easily navigate throughout the templates as the templates have great responsive features. These designs have a very organized look. 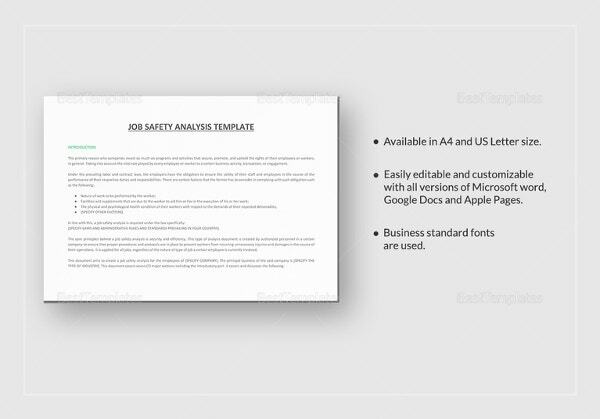 Companies downloading these templates would get the perfect layout that would support the task of their job analysis documents creation. There is a table that supports information of the job title, the name of the task, reporting structure and also the brief responsibilities. It would also mention the physical requirements that are imperative for the candidate appearing for the job. 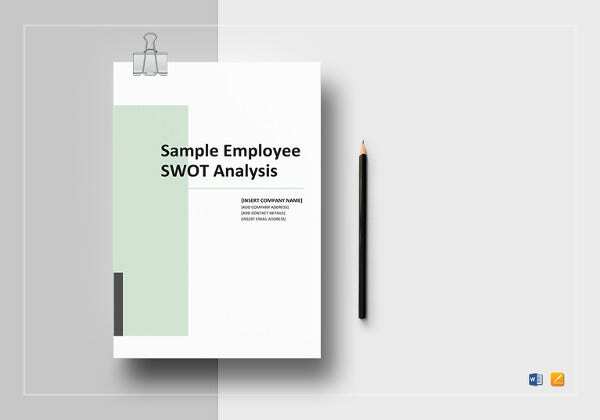 These job analysis template designs are unique and effective. The information can be provided in the empty spaces. All that the user needs to do is to provide the relevant information. The overall structure remains the same. 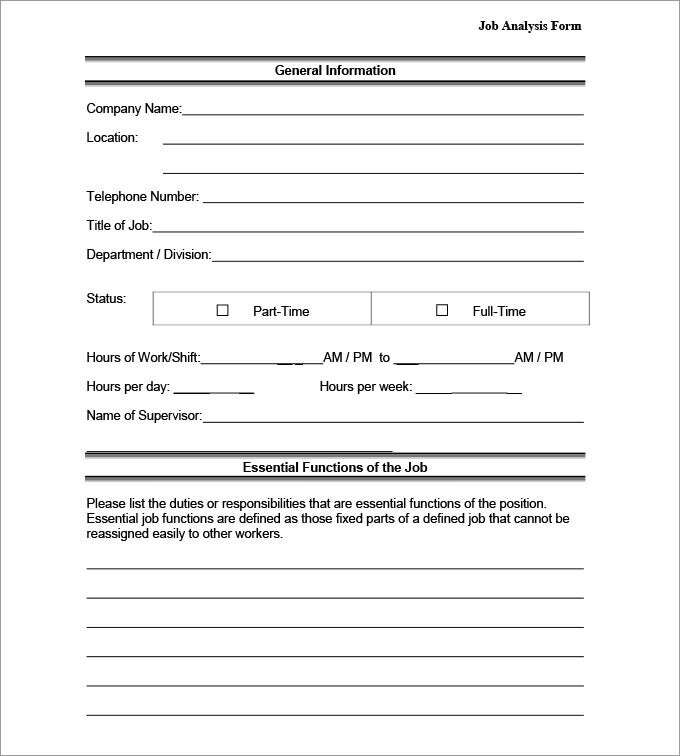 This is a very informative design that contains the information of the name of the company, the location of the company, its telephone number, job title, its description and reporting structure financial figures etc. The format design of these templates is very neat and organized. 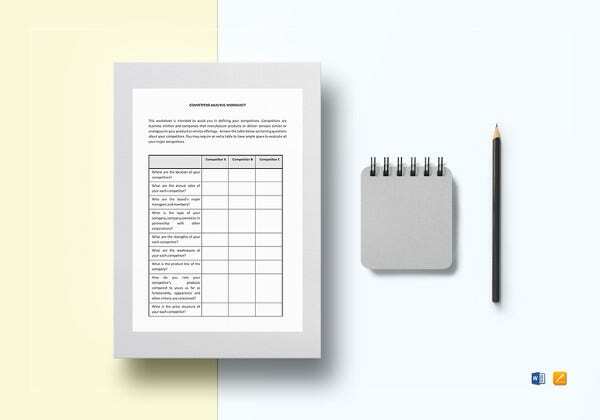 A tidy table has been drawn that contains the details of the name of the job, reporting structure, status, description, working hours, responsibilities, skills required etc. They have very responsive features for the aid of the user. This is a template that has a very formal appearance. This is a template design that is simplistic yet effective in its essence. It happens to support all the important information pertaining to a position. 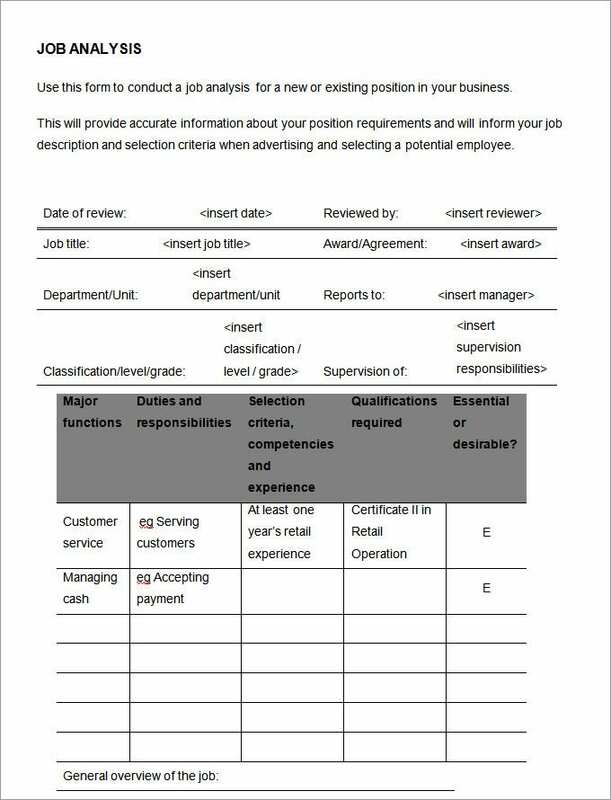 Companies can download this job analysis template that comes in the form of word doc and PDF. Additionally, managerial position is also interviewed to unveil comprehensive data about the job. Furthermore, customers interrelating with the employees ought to be interviewed. Hereafter, the employee should draft the tasks that they can perform in their specified period. 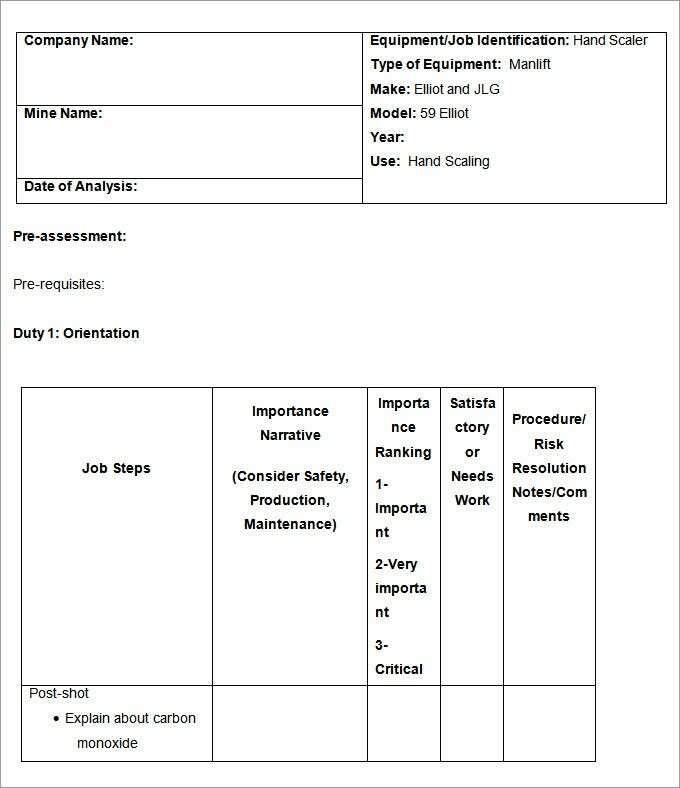 Note that the interviewer (contacting job analysis) acts by monitoring employees whilst working and records the analysis on the Job Analysis Template. The supervisor/interviewer records what is achieved and the time spent on each task. After collection and recording of data, review session follows up. Involved employees participate in this step. The tabled pointless statistics is expunged. Lastly, jobs are compared depending on the collected data. For that reason, intra and inter departmental jobs are evaluated. The aim job analysis is to determine where a job fits in a certain pay grade. 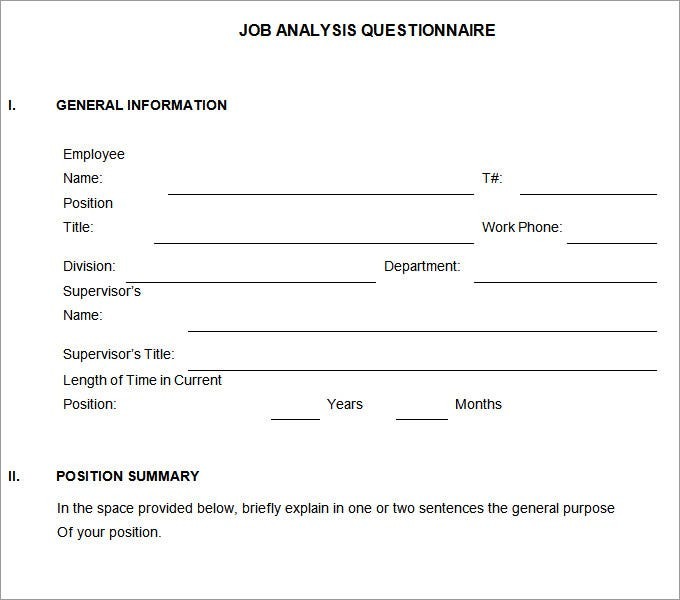 What is a Job Analysis Template? 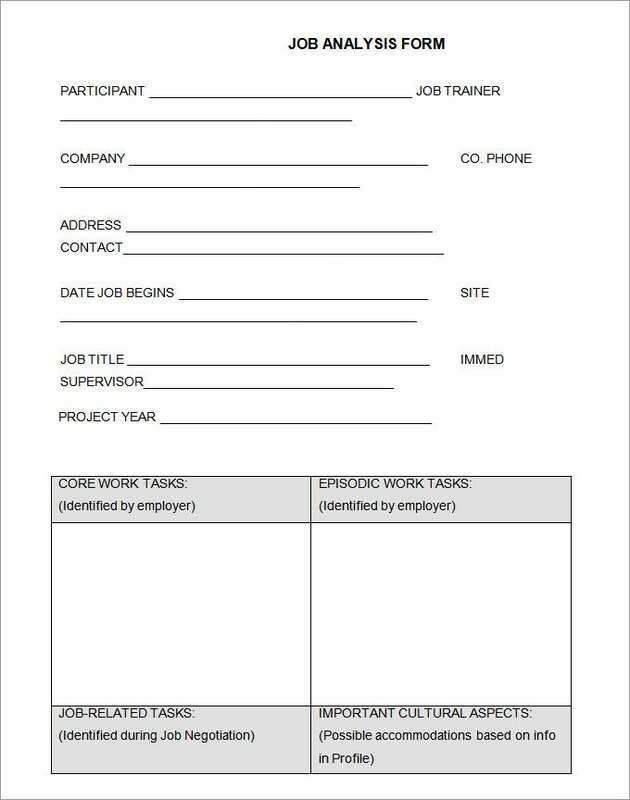 This is a kind of template design that can be used to create very effective template designs which would enable the company to correctly assess its manpower planning and also go about in a proper way in the processes of recruitment and also salary planning. This is a template that is of immense importance to both the employer and also the employee. This is a document that is yet again a very important part of the corporate literature. How to Create Job Analysis Templates? 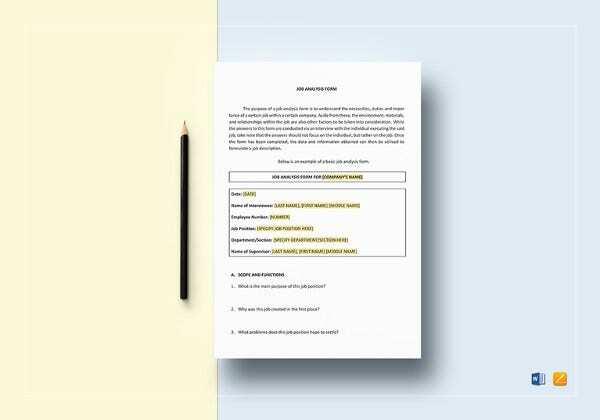 One of the most important things that are to be kept in mind at the time of making a job description document is that only the relevant aspects are to be included. The requirement is to be understood first and then the document is to be made. It is to be kept simple. This document helps to systematize the whole process of the company of analyzing a job. The HR department can make the recruitments based on a systematic planning that is transparent both to the candidates and the employees. 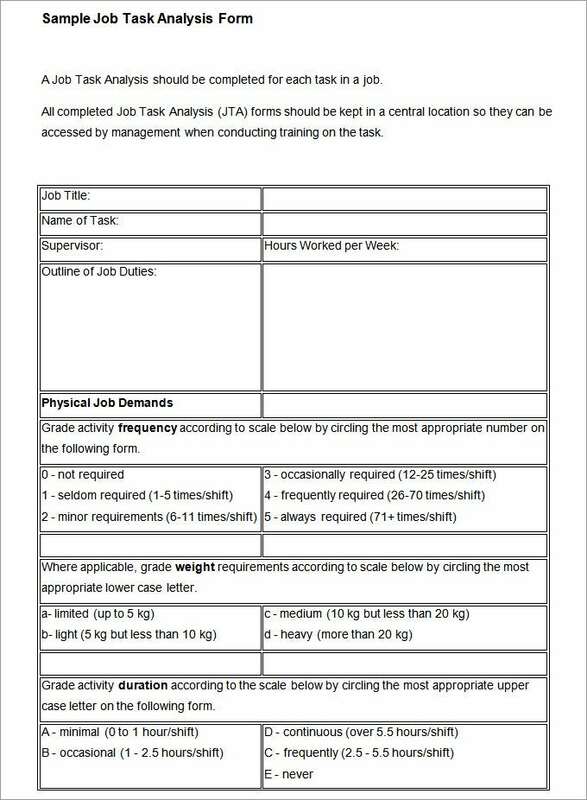 Such templates are easy to read and comprehend, thus saving time on understanding the job profile exactly. 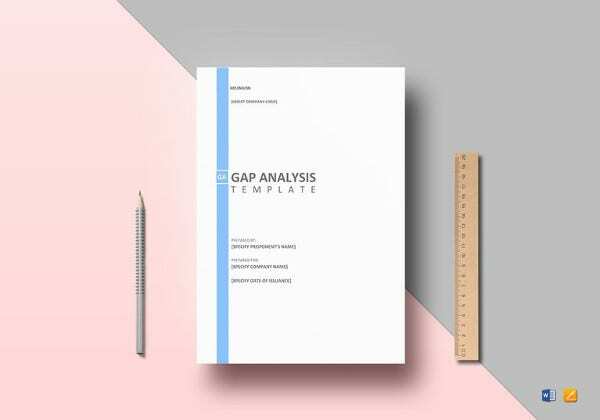 Job analysis templates are available in various designs and you can choose the right design for your purpose as different job entail different details. If you have any DMCA issues on this post, please contact us!